CHANTECAILLE- a French New-Yorker beauty brand synonymous to luxury, style, efficacy, and sustainability. 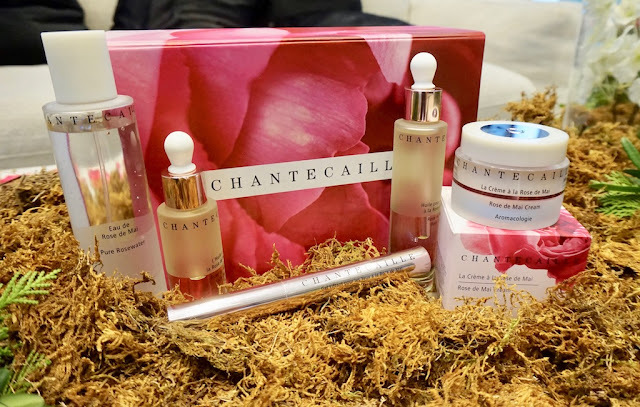 Long- time readers of my blog will know that I have a penchant for luxury beauty products; it's what pushed me to blog in the first place; Chantecaille has always been on my must- try list; I have heard a lot of glowing reviews on their Oil- Free Foundation and Rose De Mai skin care series. 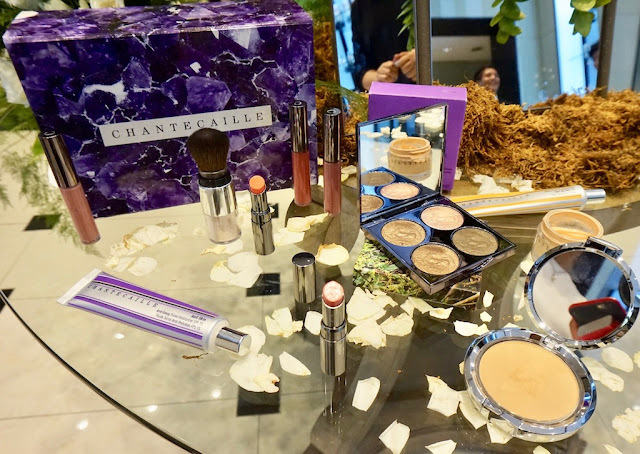 To Luxury lovers and beauty aficionados out there, we don't have to wonder anymore how amazing Chantecaille's products because it is finally coming the the Philippines. In fact, it's already here and here's the first line- up to launch. To the uninitiated, what is Chantecaille? Founded by Sylvie Chantecaille, it is a luxury beauty brand that retails skin care, makeup, and fragrances that are New Yorker in style and French in spirit: it is deeply rooted in the French pharmaceutical practice of usage of timeless botanical formulations and inspired by the fashionable, innovative lifestyle of New York. 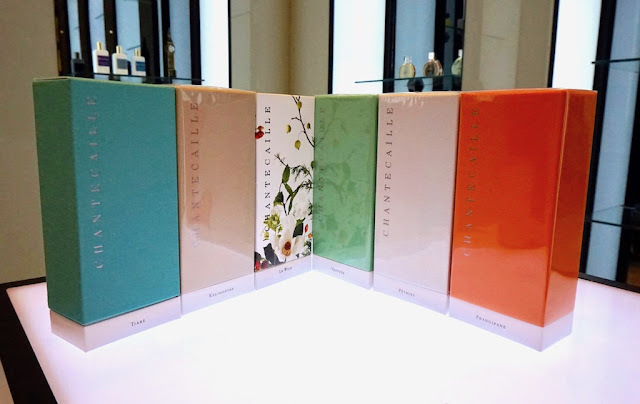 Chantecaille's products are a marriage of science and nature as well as ancient and modern techniques and ingredients; their products are well- known for exceptionally high concentrations of actives that deliver great results. First to land is the luxury fragrance range: six beautiful fragrances woven from founder Sylvie Chantecaille's inspirations, ideals, and experiences. 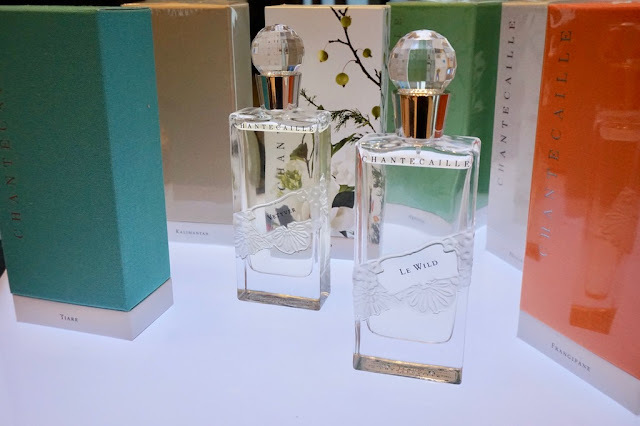 At Art of Scent, the official distributor of Chantecaille, is where I got to know these fragrances and what makes them very special (and innovative!). 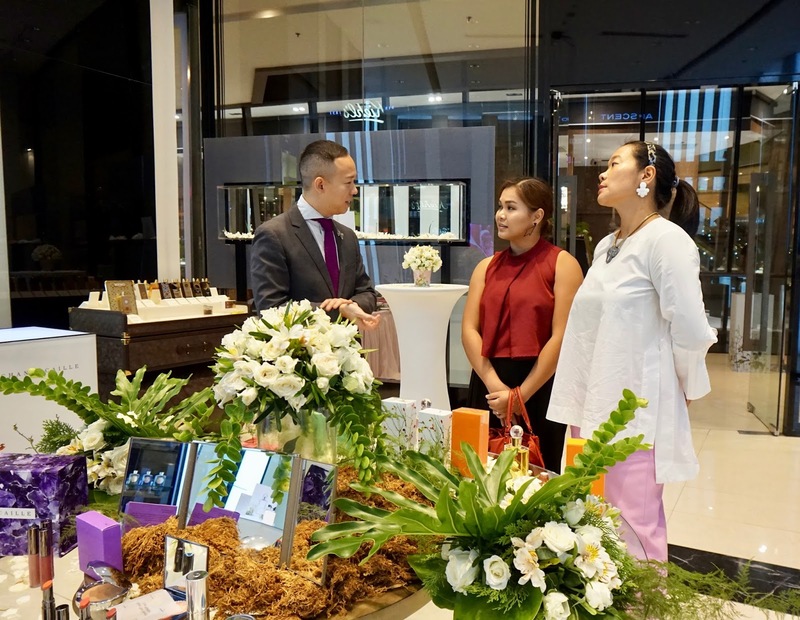 I had a one on one with Harvey Taso (Global Training Manager) and Sylvie Mongdeverchere (Regional Manager) of Chantecaille; we discussed the various inspirations, science, and causes that make up the brand. Ever since, I've always loved one-on-one's like this because I get to ask really personal questions, questions that personalize more The Beauty Junkee. Chantecaille's fragrances begin at P11,000.00; given this, what makes them extra special? 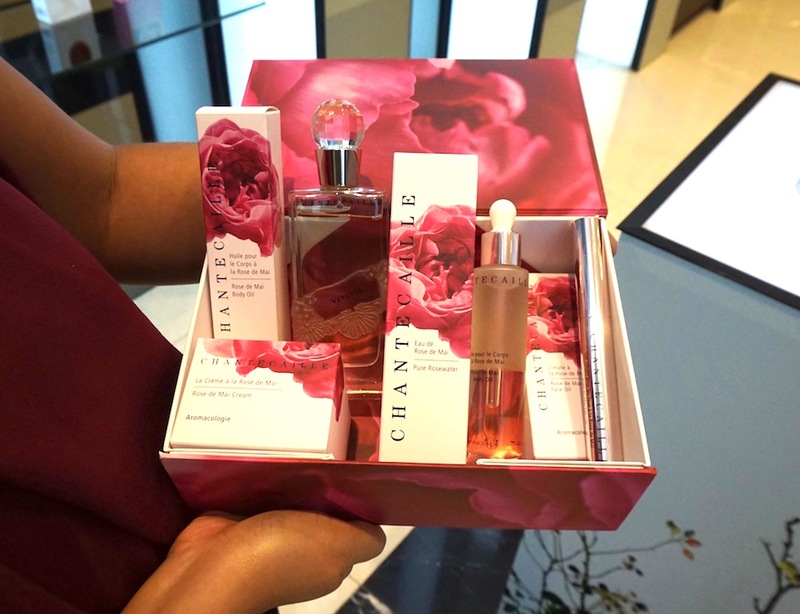 According to Harvey and Sylvie, these are not your average fragrances; while most perfumes use synthetic notes and minimal concentrations, Chantecaille uses between 18-24% essential oils in each fragrance, resulting to longer wear and heavy distinction in each scent; no two fragrances smell and feel alike, from the beginning to the dry down; each fragrance takes you to its own world and journey, from start to finish. I would also like to point out that essential oils are more precious than synthetic notes because they are the ones that provide the distinct character in each fragrance; nature truly is the greatest inventor. VETYVER- fresh, clean, unisex. A favorite fragrance of the founder's father and brother, but this time, there's a feminine twist to it. 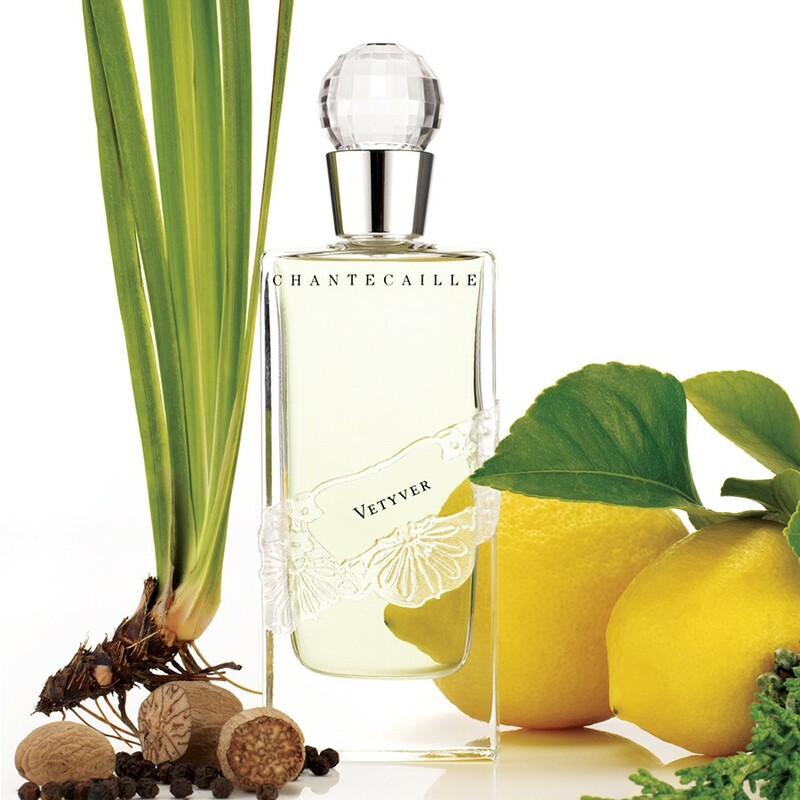 Vetyver is for the woman who is bold, optimistic, and free- spirited. PETALES- Classic, pretty, romantic. Petales is a nod to the founder's fondness for Gardenia flowers. Petales is for the modern Grace Kelly: fashionable, feminine, and timeless. KALIMANTAN- Exotic. Vibrant. Adventurous. Sylvie Chantecaille's trip to the isle of Borneo is what inspired this fragrance. Spicy, woody, and floral, this oriental fragrance is for the adventurous, fearless woman who opens up herself to the world and its adventures. TIARE- Fresh, calming, beautiful. Tiare is birthed from a Pacific adventure and is deeply inspired by the turquoise seas, salty air, golden sun, and a first encounter with Jasmine, a flower that Sylvie described as "Gardenia- like flowers". 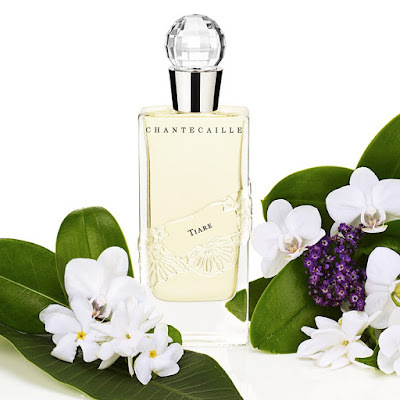 Tiare is a beautiful 'white' fragrance that's fresh and sensual at the same time. FRANGIPANE- Warm, sensual, sweet, exotic. 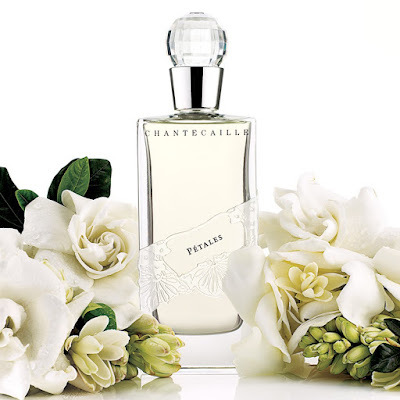 An adventure in India with Sylvie's husband created this fragrance; upon seeing a Frangipani tree calmly sitting in the middle of a pool, Sylvie imagined a fragrance that connects the body and soul. Frangipane is a multifaceted fragrance that's sweet and sensual, exotic and fresh, and warm and cool; it connects and represents various sensations and emotions that make up the human experience. LE WILD- Fresh. Wild. Ethereal. Sylvie believes that "The last great luxury is the wild", therefore the brand has always been active in supporting conservation efforts. Le Wild is born out of sentiments on the alarming deforestation of greenery in Brazil and Indonesia to make way for cattle and palm oil production; this fragrance bottles up the pure memory of nature and wants to remind us how precious nature is and how it makes us feel genuinely free and happy, thus we should do everything we can to preserve it. 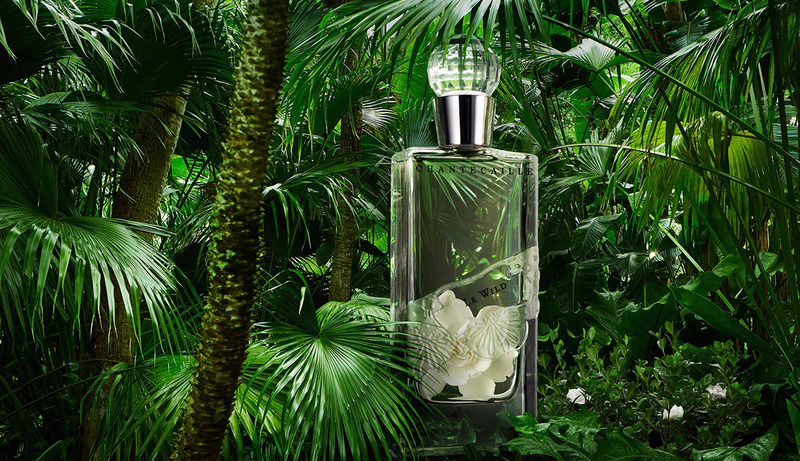 Le Wild features the exotic Brazilian Gardenia and various green notes, an offering to women who want to escape to nature and embrace the wild. The fragrances, aside from featuring high concentration of essential oils, also come in sustainable, handmade packaging; the exquisite bottles and boxes have been produced using sustainable and earth- friendly materials. Harvey told me that the bottles are also exceptionally thicker to help block the absorption of light, thus helping preserve the fragrance longer. Interesting! Chantecaille's well- loved makeup line including cult favorite Oil- Free Foundation and best- selling Just Skin Tinted Moisturizer graced the intimate event yesterday; so many wonderful products to try and I'd also like to highlight that gorgeous eyeshadow palette over there; it's a makeup palette that aims to help environmental groups in their effort to save the remaining Gorillas in the wild; 5% of the sale from each palette goes to helping save Gorillas; that's a really high percentage of donation made by any brand I've discovered. The famouse Rose De Mai skin care series is coming to town this 2018 and I cannot wait! I personally tried them yesterday and I immediately fell in love with the face and body oils! They're extremely lightweight and moisturizing. Rose De Mai is an ancient Rose that blooms in Grasse, France once a year only, during May; it is widely used in French skin care preparations due to its efficacy. More about the skin care and makeup next year so stay tuned. My face when I got to see the products in person. Chantecaille, la beauté! Sustainability, generosity, great quality, and responsibility- these are enough reasons for me to support a brand like Chantecaille. 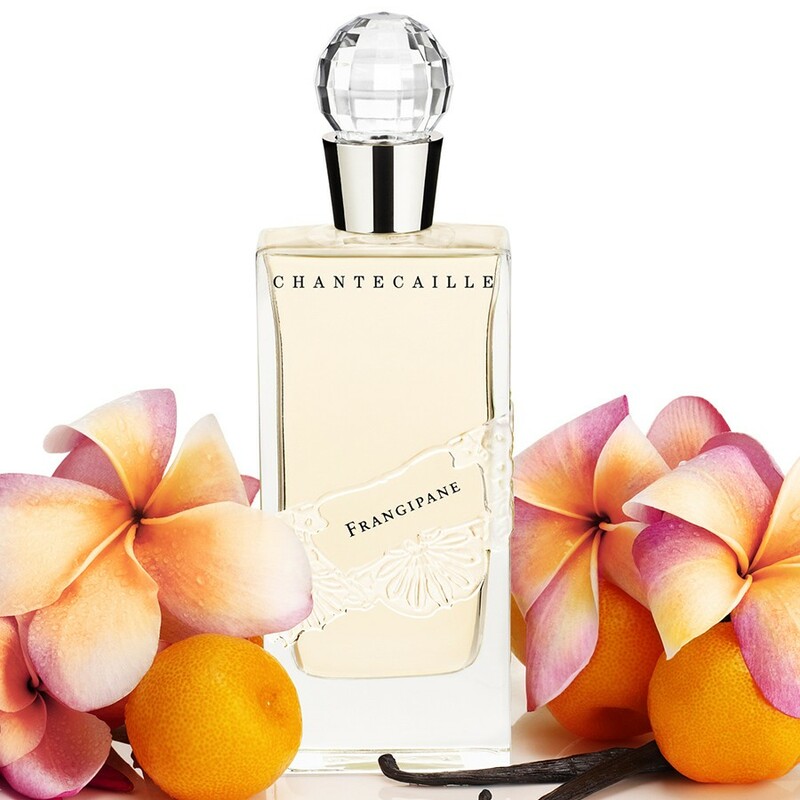 Chantecaille perfumes are now available at Art of Scent boutiques. I personally recommend Le Wild, Tiare, and Petales; beautiful fragrances that deserve a whiff. Visit ART OF SCENT on Facebook for more details about this brand. Ever heard of Chantecaille? What products are you looking forward to try? I'm so excited for this! Honestly, it looks so elegant and classy. Fit for a royal. I can't wait for the Rose De Mai skin care line. Hope those products will be affordable huhu love the whole concept of the scents. Thanks for this, Ms. Martha! ang mahal bess! pero branded means worth to buy naman kasi tlgang they offer a great brand na tlga namang papatok sa mga mayaman hahaha...but i love the packaging.. This brand po pla is prang all-in-one na. From fragrances upto make ups and skincares. Just wow!